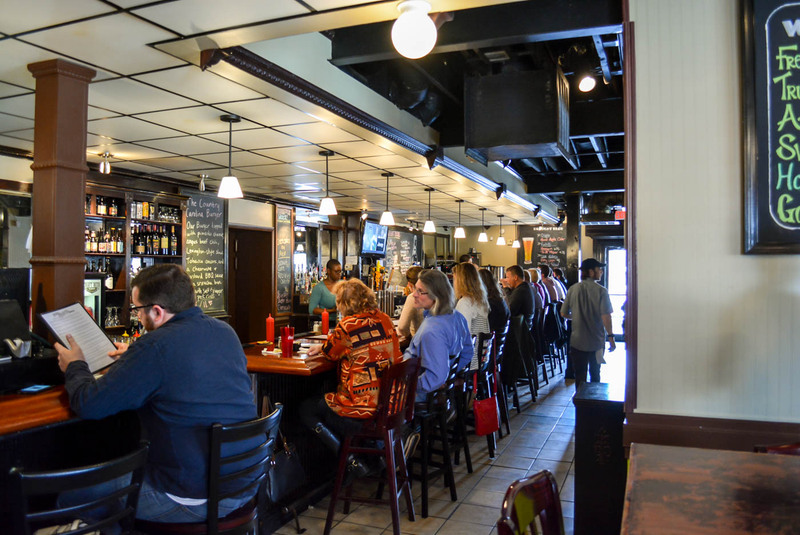 Hops Restaurant has the distinction of being the number one rated burger restaurant IN THE NATION on TripAdvisor. Really. It’s the only burger joint in North Carolina on the list. 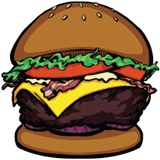 To test this claim, Hereford and Angus combined the powers of the Charlotte Burger Blog and the Triangle Burger Blog to do an old-school dual On the Road review. Hereford: What’s up, buddy! Long time, no see! How are things in the Triangle area? Angus: Things are great! 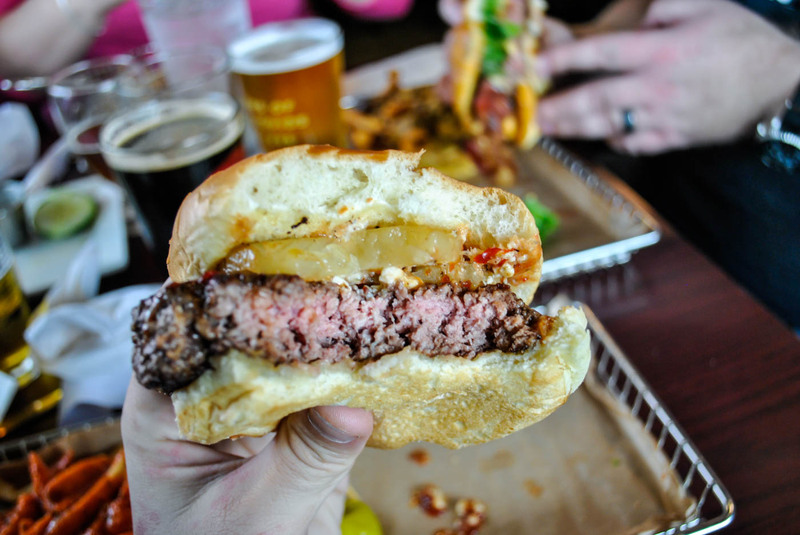 The Triangle is full of so many new burgers to try across three different cities. I am actually a little overwhelmed 1. But being the new kid in town means I just have to eat that many more burgers (or beat up the big kid in the school yard over to solidify my position as burger king during lunchtime recess). 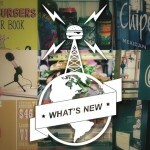 All in all, I am super pumped to begin the Triangle Burger Blog! Hereford: That’s good to hear. 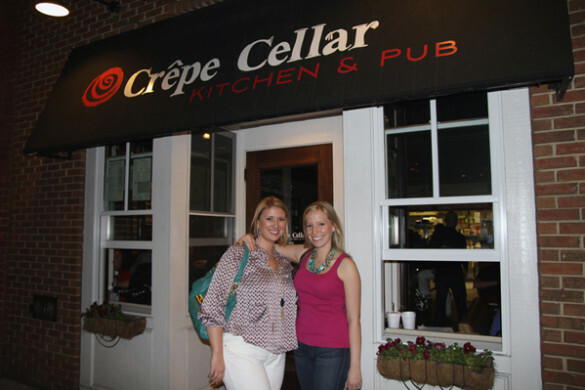 I’m glad I had this chance to catch up with you and do a review the way we used to when we started this blog. A good ol’ back and forth! We knew we wanted to get back together to do a joint Charlotte Burger Blog/Triangle Burger Blog “On the Road” review, and we decided Greensboro might have a possible burger place to try. I went to Dr. Google to see what he would prescribe, and there I found Hops Burger Bar. 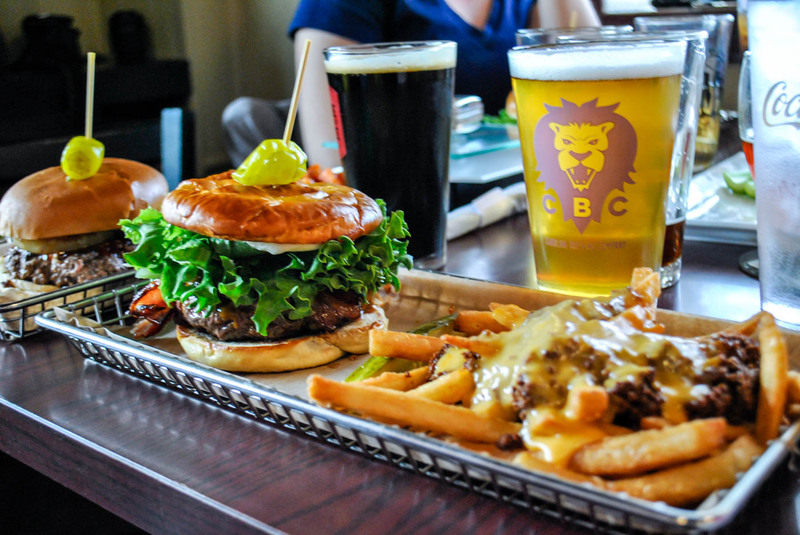 It sounded like our kind of place—beer & burgers is what we’re all about. What was perhaps most intriguing, though, is that Hops is very highly rated by TripAdvisor. 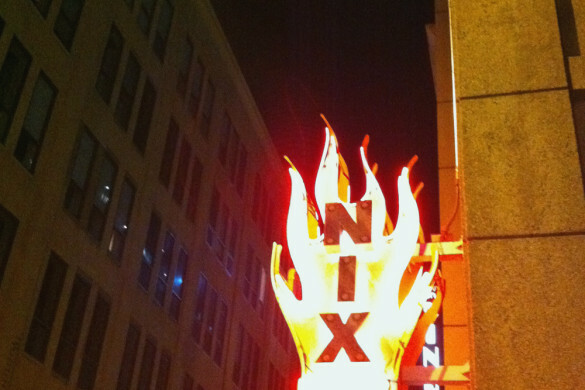 In fact, according to this list, it’s one of the ten best burger places in the country. Wait, check that, I mean the best burger place in the country. We had to put that to the test. 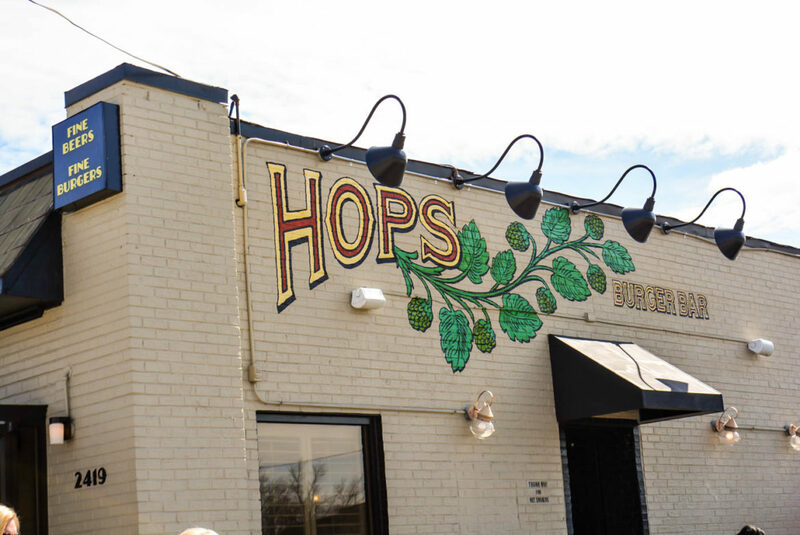 Angus: Arriving to Hops we had to drive through what felt a lot like Greensboro’s version of Charlotte’s NoDa, or the Triangle’s Carborro. You know what I mean, lots of art galleries, bars, and wholesome organic pop-ups that only serve honey and tote bags. That sort of thing. Parking was minimal as they shared a parking lot with an adjacent breakfast joint, which wouldn’t have been that bad if everyone wasn’t standing in the parking lot waiting to get inside. Other than trying to not run over any human speed bumps, I took this as a good sign. Angus: When we finally made it inside (was about a 30 minute wait) I was surprised to notice that Hops was a lot smaller than I thought it would be. There was a long bar that took up the whole back wall (which was packed) and everywhere else were bar-height tables—which is terrible if you have kids. They can’t sit still in general, but now they are falling off an Empire State Building-height of a chair. The interior was broken up by the oddly placed restrooms in the middle. They did, however, have a pretty sweet outdoor patio area to the right of the restaurant. The one thing that disappointed me was the lack of theming. I mean, calling yourself Hops and not really having any hops decor anywhere was a huge let down. Hereford: I guess the Hops part comes in from their focus on beer, of which they did have a fairly expansive list. It wasn’t the biggest I’d seen, but there were intriguing options. But you’re right, they don’t do anything thematically in regards to hops or beer. Angus: The waitress guided us to our seats right next to this huge sign dubbed the “Wall of Fries” 2. Hereford: You can see their list of fry options in the picture above. What I thought was the best thing about the wall of fries is the fact you can substitute any one of these for your side with your burger for just an extra $1.50. What burgers did they have? Hereford: Hop’s burgers are created with Certified Angus Beef 4, contain local produce, and the cheese is provided by a Goat Lady. (No. Really. That’s what the menu says.) They are also hand pressed, cooked on a flattop grill, and cooked to medium, unless otherwise requested. So naturally being a “burger bar” Hops had an extensive burger list with ten signature burgers. 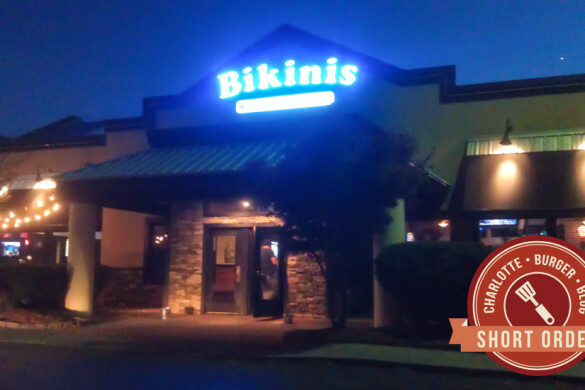 Honestly, we thought they had some of the most interesting burger combinations we’ve ever seen. I was intrigued by all of those options. It was tough for me to order, because honestly I wanted to try each of those. In the end, I opted for the Hawaiian, not because it sounded like I would like it the most (I would probably give that to the Asian Invasion or the Cuban Cow), but because I was skeptical about the pairing of bleu cheese and pineapple and decided I had to try it for myself. Angus: Hops also has a very extensive Create Your Own Burger section. Like, super extensive. You can choose a 6 or 8 oz patty of Angus, chicken, turkey, or bison burgers—or if you are feeling quite vegetarian that day they offer two different house-made veggie patties. They have both a mushroom cauliflower burger and some sort of nutty patty 5. The CYOB 6 has three add-on sections comprising of complimentary toppings as well as toppings that cost 75 cents and 1 dollar respectively. Notable items on this add-ons list were the fried green tomatoes, wasabi slaw, bourbon marinated pickles, goat cheese, gruyere cheese, jalapeño bacon, and the curious & mysterious Original Boar & Castle Sauce. Rounding off the CYOB were the bun options. Hops offered the standard potato and brioche buns as well as a sriracha bun and a pretzel roll. I had to go with the CYOB since there were a lot of ingredients that intrigued the heck out of me. Hereford: When I looked at the menu, it occurred to me that I have never actually had pineapple on a burger before. I’ve had a lot of crazy ingredients, but somehow pineapple never was one, even though we all know that pineapple is the most superior pizza topping…ever 7. When I bit in the burger I really liked it. It was cooked perfectly medium, which is something you can never take for granted. (Note: It was more pink in the center than the picture below really shows.) What surprised me was that I enjoyed this burger even though I’ve never been much of a bleu cheese fan. Bleu cheese is certainly a powerful flavor and you have to embrace its sourness, which I think this burger does. The barbecue sauce added some complexity and a little spiciness to the flavor, and the pineapple was sweet and delicious. Although I’d give this burger high marks, that’s largely based off first impressions. Honestly my palate was wrecked before I was a third of the way into it. As my side I ordered the Atomic fries, which have a very spicy buffalo-type sauce. They were so spicy, in fact, that their heat just overwhelmed my mouth. No matter what I was tasting—the fries, the burger, the beer—I was getting notes of spiciness. I don’t have a problem with it, just know that I don’t 100% trust my own thoughts on the burger as a result. Cooked to order: YES. RARE. Angus: So being the bacon cheeseburger connoisseur that I am, I ordered my CYOB with that in mind, but took it for a little spin. What I ended up with was a burger with a pretzel roll bun, pimento cheese, applewood smoked bacon, the Original Boar & Castle Sauce, lettuce, and mayonnaise. What I noticed first was the way they made the pretzel bun. Everyone knows what that looks like right? A regular bun made with pretzel dough with some salt on top. Regular. Standard. 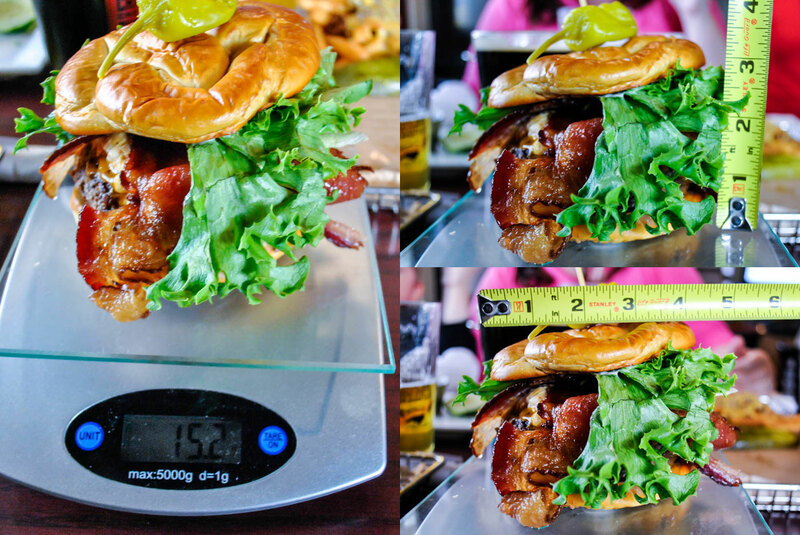 But this pretzel bun came out as an actual pretzel, twisted and everything. Thinking on it, this is the best way to receive a pretzel bun. It just makes sense. Taking the first bite I noticed the great amount of pimento cheese that was on the perfectly cooked rare burger. A lot of places melt the pimento cheese on the burger as it cooks, but I actually prefer it the way Hops presented it, just as a cold dollop on top. There were two thick and floppy pieces of bacon that overflowed off the patty 8, but the lettuce was flat and not crisp and felt like an afterthought 9. I finally got a taste of the mysterious Original Boar & Castle Sauce only to find that it tasted like a mixture of ketchup and mustard. So I took to the great interwebs and found out that this sauce was actually a byproduct of a 1932 restaurant named Boar and Castle located in (yep you guessed it) Greensboro, NC! Seriously. That is pretty freakn’ awesome 10. Overall the burger I made lived up to my expectations and I am super pumped to return and try my hand again at selecting random ingredients for another CYOB. Angus: So, being a restaurant called Hops you naturally think they would offer a lot of options for craft beer. Especially local and regional craft beer. Which they did! The only issue is that it seemed like they were out of everything we ordered. Hereford: We and our significant others were more than once stymied by Hops’ being out of the beer we wanted. Wicked Weed Pernicious? Sorry, our server said. We’re out of it. 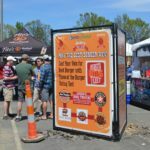 Old Hickory Ruby Lager? Oooh, that one too, she said. Dammit. It’s a frustration that’s just going to happen sometimes. We wound up getting a Natty Green Colony and a Torch Pilsner from Foothills 11. What other food do they serve? 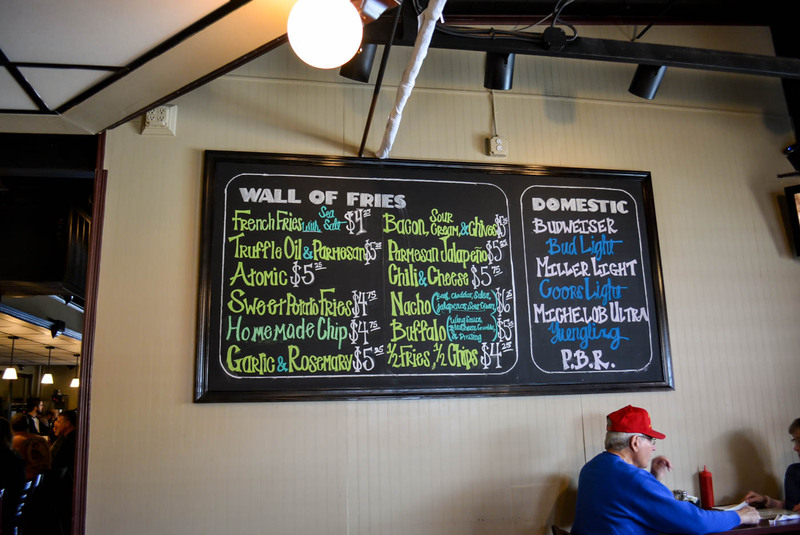 Angus: Other than their extensive list of burger options and different types of Frankensteined fries, Hops had a list of starters that included fried green tomatoes, peppered-crusted goat cheese, and Carolina red onion rings. Also, if you were not in the mood for a burger 12 then Hops had a small list of sandwiches and salads that you could choose from. What was your favorite thing (non-food) about Hops? Angus: This is hard because there wasn’t much going for Hops besides their burgers or their Wall of Fries. I would love to call out some type of hops-themed decor piece but there was none. 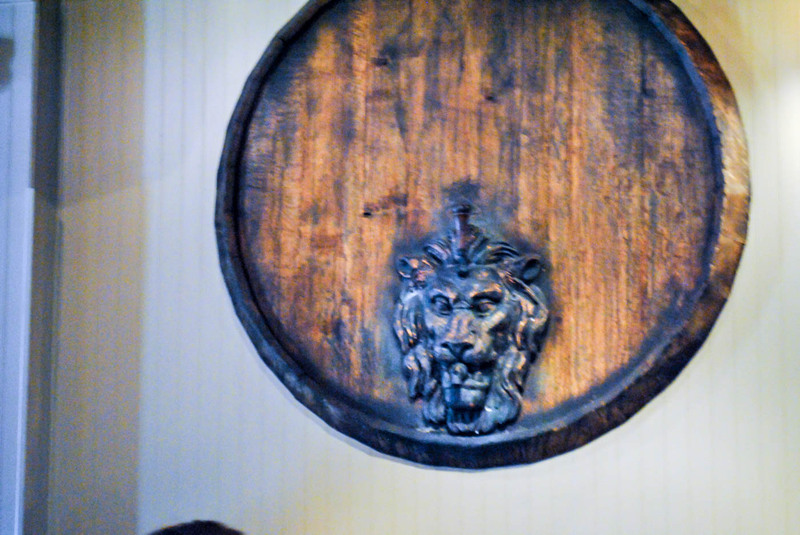 Hereford: They did have this cool lion/barrel thing on the wall, I guess. But that’s pretty much it. Hereford: I’d love to get a chance to try the Asian Invasion 13. Wasabi slaw is something I love to make myself for the burgers I cook at home, so I’d love to try theirs out. Angus: Probably another CYOB for me, but their Diablo burger looks quite tempting. 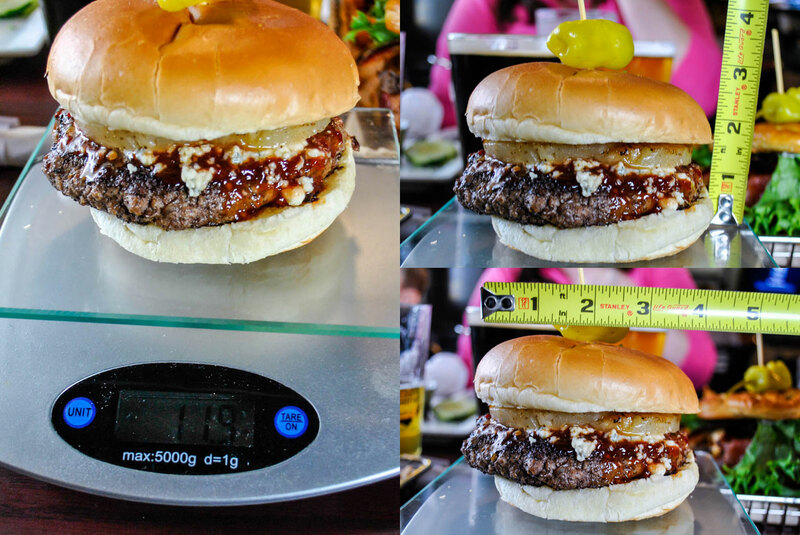 Does this restaurant deserve the Charlotte/Triangle/NC Burger Blog’s Seal of Approval? 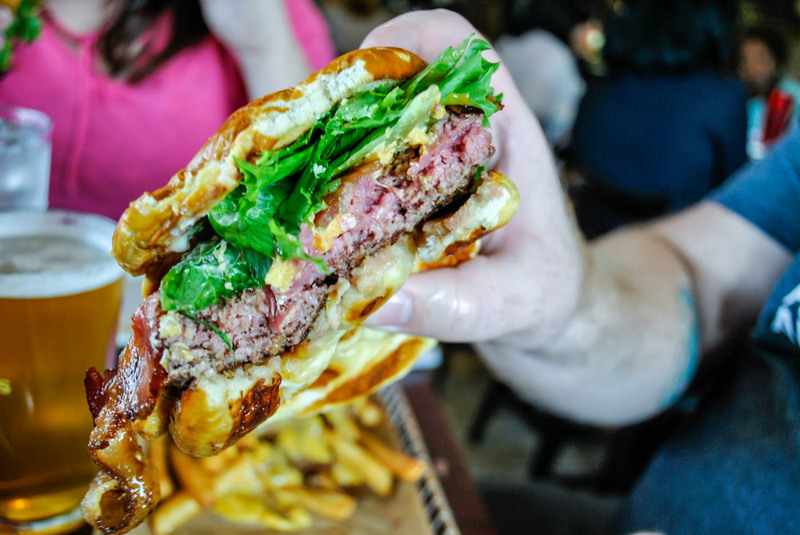 Is Hops the Best Burger Joint in the US of A? Hereford: See, this is the problem with these lists. We are, as a society, obsessed with the concept of rating and evaluating, and that’s fine, but some things simply can’t be objectively rated. You’re perfectly welcome to think that Hops is the best. Personally, I think it is very, very good. But, not only do I think it’s not the best out there, I would hope for that not to be the case. 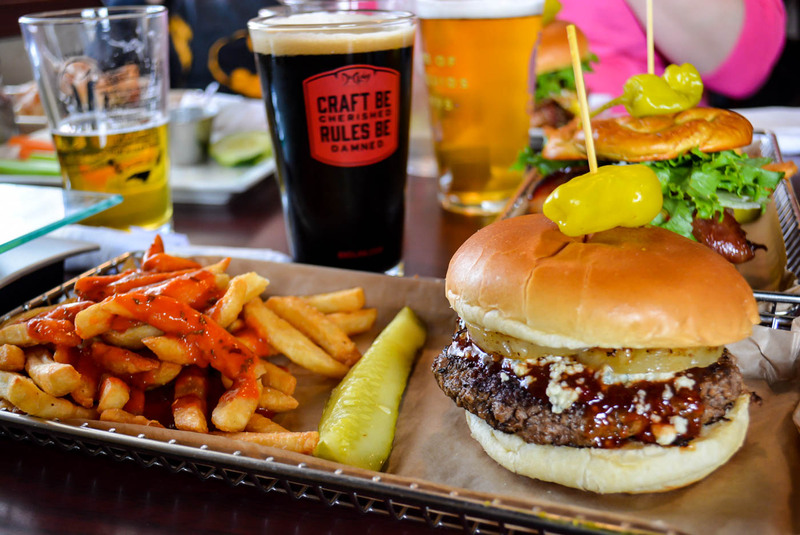 If Hops was the best there was we would both just convert our blogs to the Hops Burger Blog and write about them every week. Angus: But they’re not, so we won’t.